Recent official statistics released from the Accountant in Bankruptcy (AiB) confirmed that the level of personal insolvencies in Scotland including bankruptcies (sequestrations) and protected trust deeds (PTDs) have decreased to their lowest level in around 10 years. Figures taken from the third quarter of 2014-15 show that 2,633 personal insolvencies were recorded, which revealed a decrease of 12% compared to the quarter before. The stats also demonstrated a massive 21.3% decrease compared to the third quarter of the previous year. Although this data accounts for both PTDs and bankruptcies, the main reason for such a large decrease is down to the record low number of PTDs recorded during this period. When these figures are factored in with the number of Debt Arrangement Schemes (DAS) approved during this third quarter (1,097 cases compared to 1,181 during quarter 3 of the previous year), it’s apparent that the demand for statutory debt solutions is on the decline. The decrease in personal insolvency cases in Scotland falls broadly in line with declining statistics published by the Insolvency Service, who have reported a 1.8% decrease in individual insolvencies throughout England and Wales during 2014. Their figures confirm a decreasing trend since 2010. The official statistics report from the AiB highlighted that bankruptcies in Scotland have actually been steadily declining since the third quarter of 2008-09, with the exception of a spike in applications received during the first quarter of 2012-13. This temporary increase was a result of changes to the bankruptcy fee structure. What are the reasons behind this declining trend? The fact that personal insolvencies and other debt solutions continue to decline year on year in Scotland is extremely positive news. There are a number of economic factors that could pinpoint to such a significant decrease. Economic growth in Scotland has been continuing to grow for the last two years; this is particularly so in the first half of 2014 with many aspects of the economy in Scotland now surpassing pre-recession levels. House prices are on the rise, fuel and supermarket prices are decreasing and household spending is currently buoyant. In February 2014, it was reported by the Bank of Scotland that there was a marked increase in both temporary and permanent jobs in Scotland. Vacancies rose sharply across all sectors as did the number of people appointed to jobs. In turn, this demand has helped contribute to a rise in salaries (in real wages, this equates to a modest growth for the first time since 2008). This suggests an increase in business confidence. The Scottish labour market is continuing to grow, with the number of people in employment increasing (including a rise in women entering the workforce) and people out of work decreasing. The recent legislative changes to PTDs may also be impacting on the decreasing numbers for personal insolvency cases. The new legislation was put in place back in November 2013 by the Scottish Government in a bid to improve transparency around trust deeds and to ensure a fairer process for both debtors and creditors alike. One of the legislative changes involved giving the AiB more power to reject trust deed applications if they believed that this debt solution wouldn’t be in the best interest of the creditors and debtor involved. For example, given that the term of the trust deed has now increased from 3 to 4 years, this wouldn’t be in the best interest of either party if a debtor is capable of paying back their debts in full within the new 4 year term. The news of declining personal insolvencies and the growth of the economy is welcomed across the board, although this isn’t a time for complacency given that there are still many people struggling to pay their household bills. As the economy grows, some people currently in debt may be tempted to stretch their finances further than they can afford, possibly resulting in the need to take on more debt later. Yet with interest rates still remaining at a historical low, there is the chance that many of those in debt will use the knock on effects of the growing economy to proactively tackle and improve their finances. 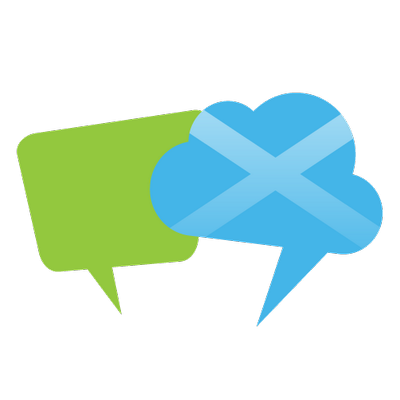 Scottish Debt Help Organisation - we can give you free impartial advice on Trust Deeds, DAS and other debt management solutions.